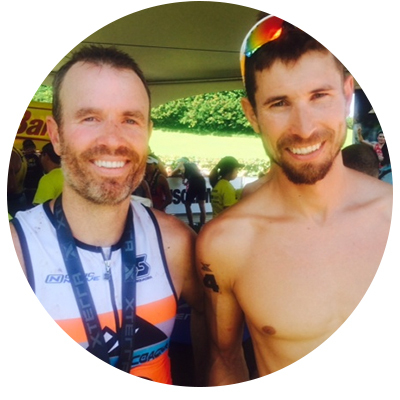 As promised in our article in Xterra’s Middaugh Coaching Corner below are our favorite benchmark tests for the swim, bike and run! We will have run and bike zone calculators up on our site this month! Input your data into our zone calculators to start training with zones specifically for you! Our favorite benchmark test for Olympic distance swimming is the broken 900 where you swim 3 x 300 yards or meters (depending on your pool) with 30 seconds rest between each. If you swim each 300 within 5-10 seconds of each other you performed a good test. If you swam your first 300 15-20 seconds faster than all the rest you went out too hard. You then take your average of all three and establish your Threshold pace (T-pace) per 100 yards or meters. For example, if your 300 times were 4:10, 4:18, and 4:05 your average 300 time is 4:11. You divide this number by 3. This would make your T-pace 1:23 per 100. This T-pace can be used to drive your swim workouts. For example, you might do 12 x 100 @ T-pace -2. Since your T-pace is 1:23 you simply subtract 2 seconds. So your goal for each 100 in this set is 1:21. The race of truth for a road cyclist is the 40km time trial and the Functional Threshold Power test is a way to estimate the power that could be sustained for about an hour under race conditions. Allen and Coggan (2006) use a 20 minute time trial to determine functional threshold power, which is calculated by subtracting 5% so that it approximates an intensity which could be maintained up to one hour. The functional threshold power test is a good indicator of performance. To perform the FTP test I like to use the CompuTrainer on a course with a slight incline. Care must be taken in the calibration procedure by making sure the tire is warmed up with at least 5 min of pedaling before calibrating. I try to follow the same warm-up protocol each time, which includes one 5 minute bout at your last FTP power followed by a 10 min easy spin before starting the test. Shoot for an evenly paced effort, keeping your power in a narrow range. If you put in an honest, hard effort, you may want to quit around the 10 minute mark, but don’t. If you record both average power and average heart rate for the 20 minute effort, you can enter that data on our website to calculate power and heart rate zones for the bike. Another field testing option is to take it outside, but remember there will be more variables to control for. In some mountain areas you can use the Strava app on a long climb which is close to that 20 minute mark. Ideally you record average power and heart rate for the effort. Typically power will be higher while climbing outside compared to the indoor trainer. If you will be using the data with a power meter while climbing outside, then you want zones specific to that condition. There are now many ways to measure power, and they may not all have the same degree of accuracy. Hopefully your device is precise enough to give you numbers that are reproducible, but be careful when comparing to others. Also keep in mind that power can be expressed in different ways and for a mountain biker it is best if it is expressed in average watts per kilogram of body mass at functional threshold power (Impellizzeri et al., 2005). The goal of the running test is to estimate your threshold pace and heart rate for about the 10k distance. A flat local road race can work for this test. Another option I like to use is a field test of either 4 miles or 30 minutes, whichever is shorter. 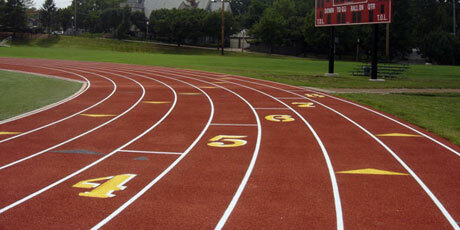 A running track will have the most reproducibility, although you can measure out the distance with a GPS device. Unlike the FTP test on the bike, no conversion is used for the run test and we just assume you could keep that pace and intensity up to the 10k mark under race conditions. Once you have performed the test you can calculate pace and heart rate zones on our website. Keep in mind that pace will only be relevant on flat, firm ground, but heart rate should be reliable on a variety of terrain.